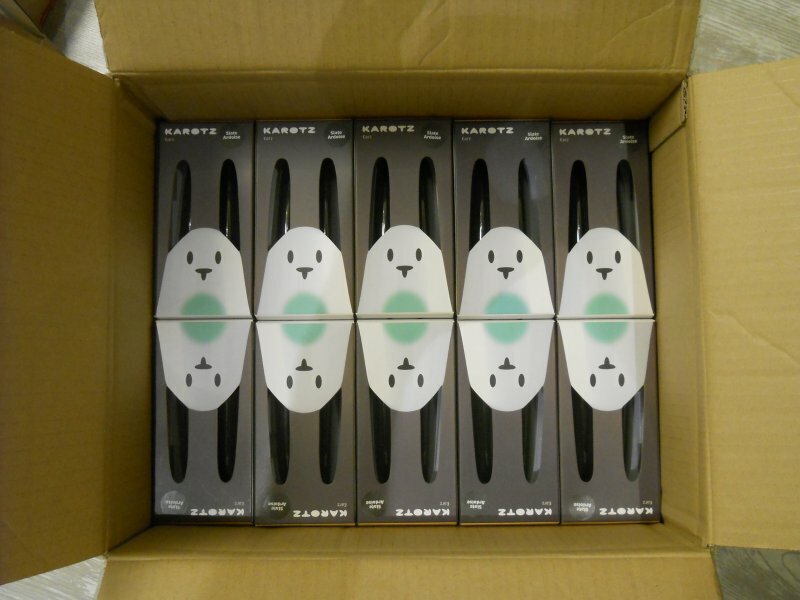 Yes, the rabbits arrived! Yesterday, Niek and I visited Alice and talked about our plan to adopt her rabbits. She agreed. 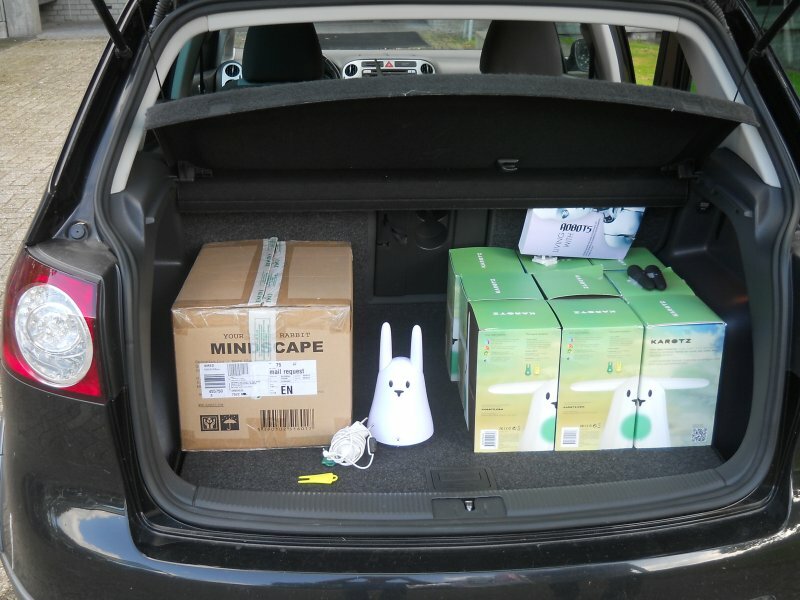 We drove home with a car full of rabbits ready to get a new live. Niek took two of them, and I took the others. One of them was already out of his box so i decided to try to help him right away. After some experiments and an hour later, the rabbit was alive and I could let him talk, wave its ears, blink his belly and play some internet radio. Mission succeeded succesfully! I will soon write the things you have to do to install Open Karotz. Karotz in the car. 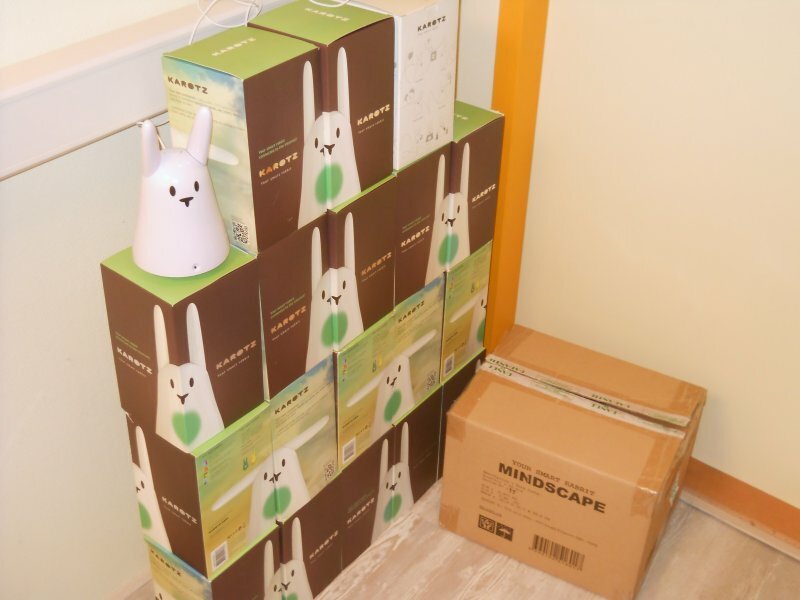 Notice the original Mindscape box. 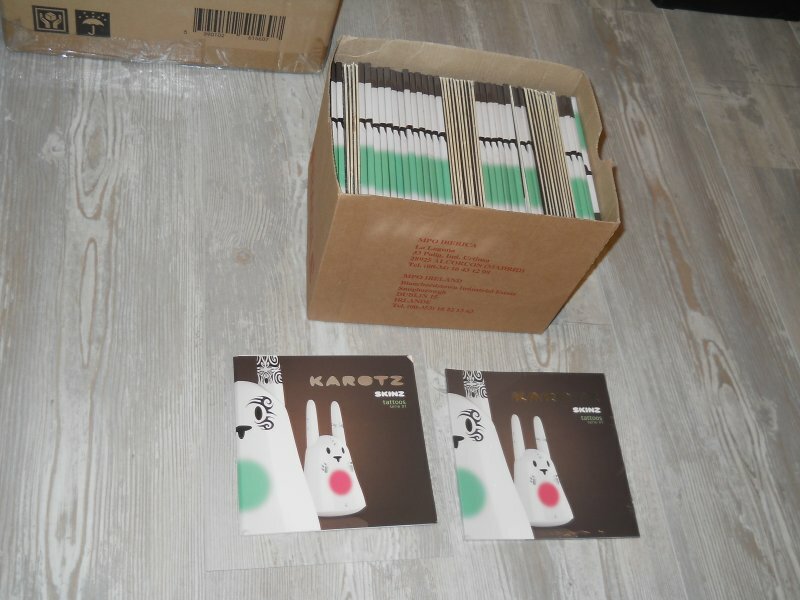 19 Karotz; 18 boxed, and one already given a new life using Open Karotz. 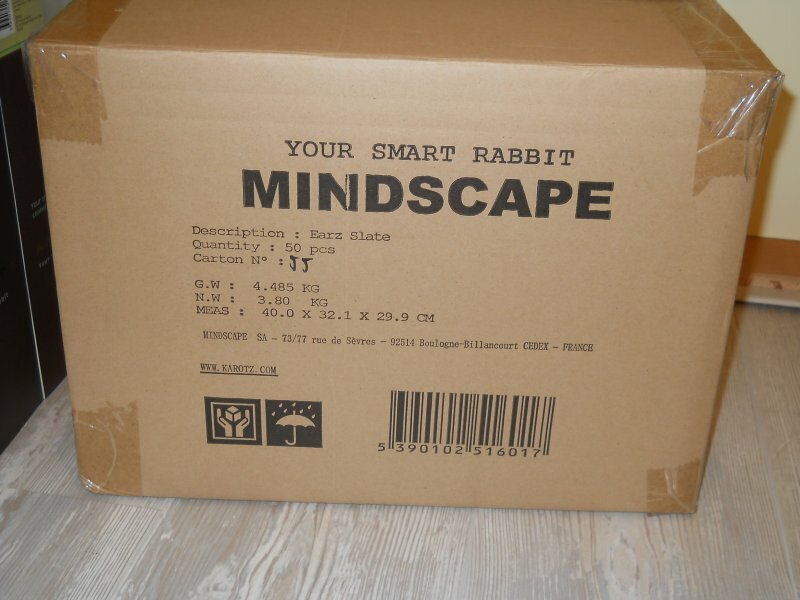 oobe2.jpg - Original Mindscape box containing 50 pcs of ears. 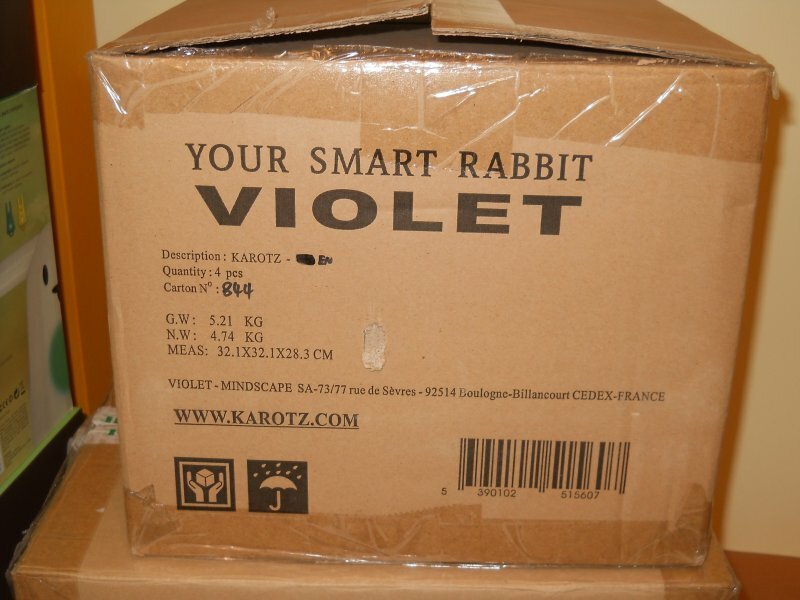 Original Violet box containing 4 pcs of Karotz. 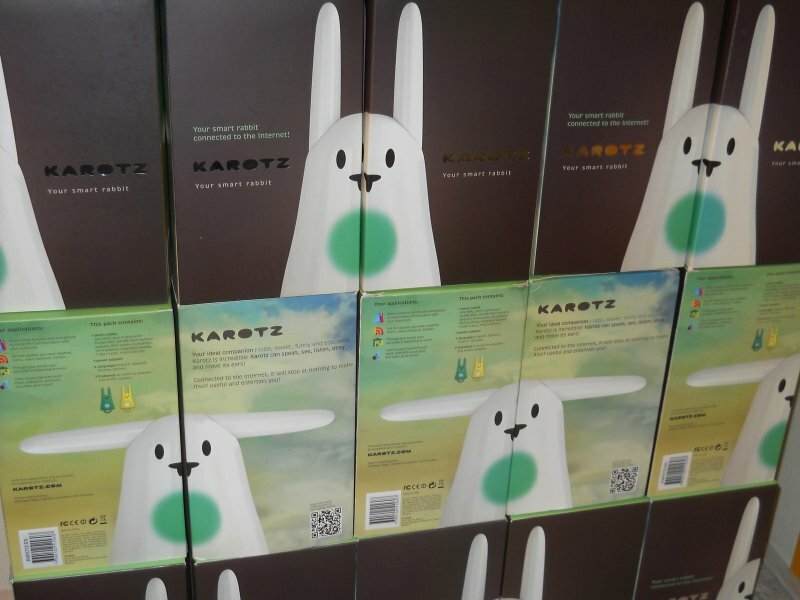 Close-up of the Karotz boxes. The Mindscape box full of ears, ears, ears.